Mikel Reparaz from Ubisoft Has taken to the official PlayStation blog to announce the upcoming launch of a new sequel for the Far Cry 5 game in the form of New Dawn. 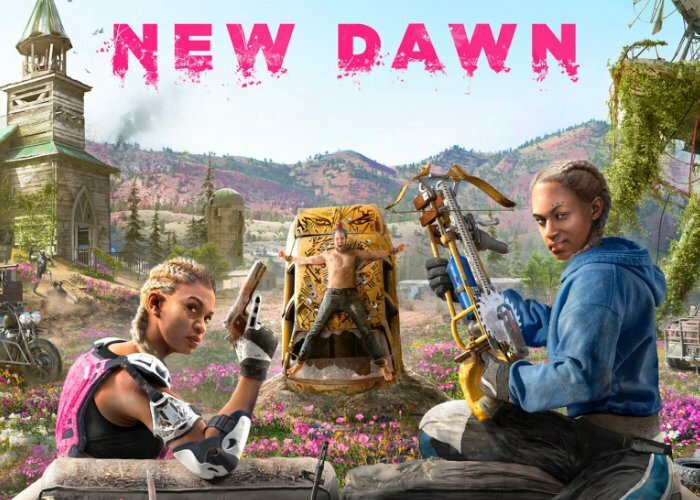 The new Far Cry New Dawn stand-alone game transforms the world within the previous game into a “post-nuclear playground”, check out the trailer below to learn more. – Clash with the brutal Highwaymen and their unruly leaders Mickey and Lou. Known as The Twins, these sisters combine brains and brawn to give their army an iron grip on Hope County’s precious resources. – Recruit an eclectic cast of Guns and Fangs for Hire to fight by your side. These new allies, as well as some familiar faces, each bring unique and critical skills to the fray. – Find the former doomsday cult and seek out the charismatic leader who prophesized the collapse of civilization: Joseph Seed. – Specialists join the Survivors to help you craft weapons and vehicles, train your Guns for Hire, and even go on Expeditions from the eight Homebase facilities: the workbench, training camp, explosives lab, infirmary, garage, healing garden, cartography, and expeditions. – Grow your community and upgrade your Homebase to improve your facilities and unlock more powerful weapons and gear.